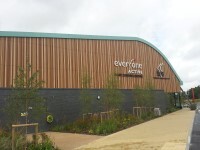 The leisure centre is located on the outskirts of Fleet just off Emerald Avenue. 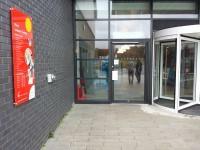 There are various routes to the the leisure centre. The leisure centre has it's own car park. There is not a bus stop within 150 metres of the venue. The nearest Railway Station is Fleet. There is a member of staff trained in British Sign Language. Staff receive deaf awareness training. 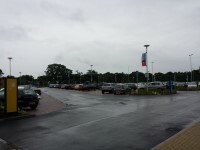 The car park is located off Emerald Drive. 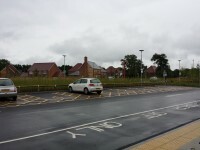 The dimensions of the designated Blue Badge parking bay(s) surveyed are 520cm x 610cm (17ft 1in x 20ft). 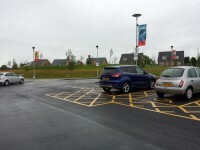 8 of the Blue Badge parking bays are 540cm x 610cm. 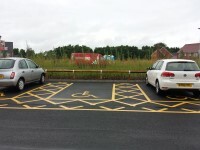 There is one Blue Badge parking bay which is 520cm x 740cm. There is a/are clearly marked drop-off point(s). The drop-off points(s) is/are located in front of the entrance. 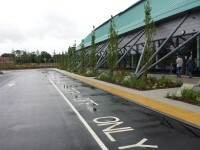 The route from the drop-off point(s) to the entrance is accessible to a wheelchair user unaided. The push pad or push button is 115cm from floor level. The width of the door opening is 110cm. 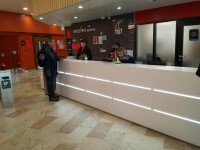 The reception point is located ahead as you enter from the main entrance. There are windows, TVs, glazed screens or mirrors behind the reception point which could adversely affect the ability of someone to lip read. 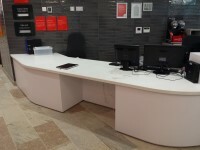 The lowered section of the counter is at the recommended height of 76cm. 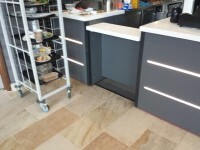 There is a clear knee recess beneath the lowered section of the counter. The clear knee recess has the recommended dimensions of 70cm (height) x 50cm (depth). 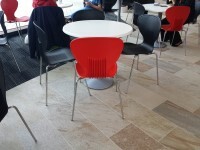 The type of flooring in the reception area is vinyl. 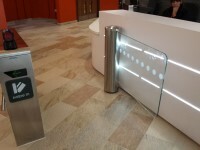 There is an access gate located next to the reception desk, which is used to overcome the turnstiles and give access to the leisure facilities. The access gate is automatic. The access gate opens towards you. 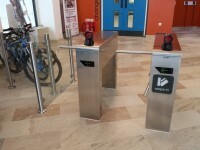 The width of the access gate is 100cm. The type of flooring in corridors/walkways is vinyl. The hearing loops are located at reception and in the studios. You are on Climbing Wall. Skip to the next section. 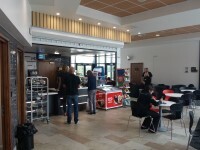 The climbing wall is located at the rear of the cafe, which is to the right after you enter, just before reception. Access to the climbing wall is via a single width door. The door is single width. The width of the door opening is 86cm. The climbing wall is located to the left after you enter. The surface of the floor is rubberised. 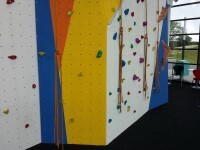 The climbing wall is operated by High Sports. There is disability climbing instructor. 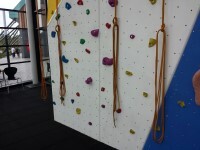 For more information about arranging a disability climbing session please call High Sports on 0345 363 1177. You are on Eating and Drinking (Cafe). Skip to the next section. 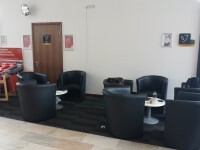 The café is located to the right after you enter, just before reception. There is a clear knee recess beneath the low/lowered section of the counter. This area does not play background music. The nearest table is approximately 3m from the entrance/opening. 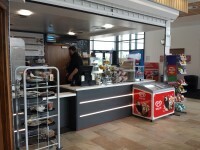 The nearest table is approximately 1m from the till/counter. 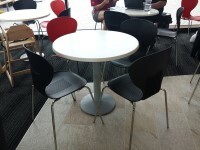 The distance between the floor and the lowest table is 40cm. The distance between the floor and the highest table is 68cm. You are on Accessible Toilet(s) (Reception / Cafe). Skip to the next section. 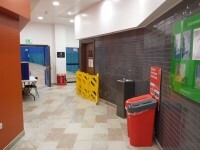 This accessible toilet is located to the right after you enter, between the reception and cafe. 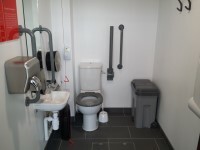 This accessible toilet is approximately 10m (10yd 2ft) from the main entrance. 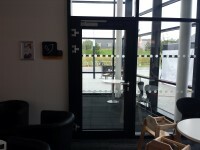 There is pictorial and Makaton signage on or near the toilet door. 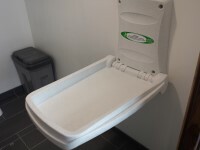 The dimensions of the accessible toilet are 150cm x 230cm (4ft 11in x 7ft 7in). The height of the coat hook is 160cm from the floor. The height of the soap dispenser is 80cm. You are on Standard Toilet(s) (Reception / Cafe). Skip to the next section. The female and male toilet facilities that were surveyed are located to the right after you enter, between the reception and cafe. 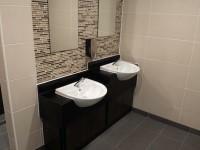 The female and male toilets are approximately 10m (10yd 2ft) from the main entrance. There is step free access to the female and male toilet(s). 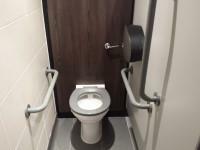 An ambulant toilet with wall-mounted grab rails is available. There are horizontal grab rails on both sides of the seat and a vertical rail on the right. The stairs are located along the main corridor. 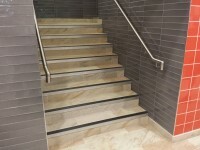 The floors which are accessible by stairs are Ground Floor and First Floor. 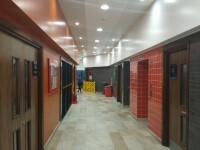 The lift is located along the main corridor. Signs indicating the location of the lift are clearly visible from the entrance. A member of staff does not need to be notified for use of the lift. 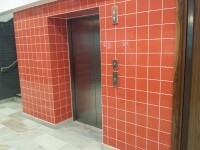 The floors which are accessible by this lift are Ground Floor and First Floor. The dimensions of the lift are 140cm x 200cm (4ft 7in x 6ft 7in). 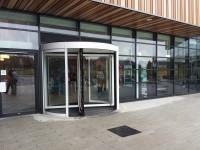 Hart Leisure Centre - Fitness Suite link (new tab) - click here. Hart Leisure Centre - Football Pitches link (new tab) - click here. 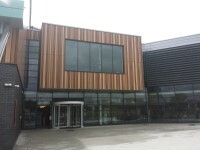 Hart Leisure Centre - Sports Hall and Studios link (new tab) - click here. Hart Leisure Centre - Swimming Pools link (new tab) - click here.